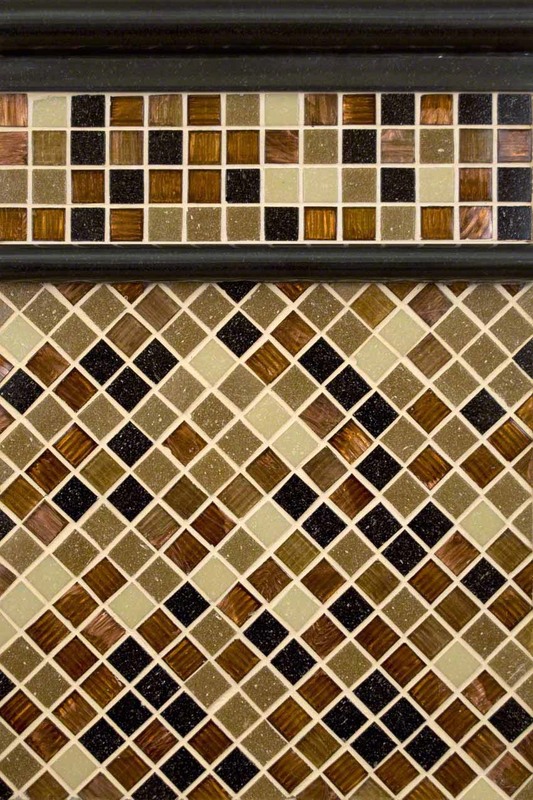 Our Desert Sunset backsplash tile features a gorgeous combination of light-reflecting glass mosaics. In this design medley, Desert Sunset glass mosaic tile is framed perfectly by Premium Black granite rail molding and Premium Black granite pencil molding. Together, they lend a sophisticated spirit to this bathroom and kitchen backsplash tile.